With our Brazilian Body Wave, you get an instant deep S-styled pattern of waves for a sea of full lush and voluminous hair. This texture is minimal maintenance and perfect for ladies who need their glam on the go. 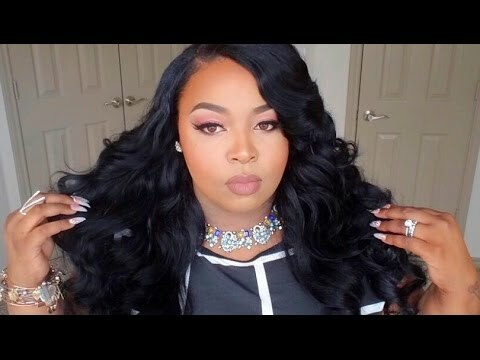 Similar to fallen barrel curls, the Brazilian Body Wave can be easily altered if you want to add more body or simply wear it in its natural state. All 3.3 ounce bundles offered in lengths 10 through 28 come in a natural Deep Brown and can be chemically processed by a professional if desired. Our 100% Virgin Brazilian Body Wave line is known for its' medium luster and worry-free factors when it comes to matters of tangling and shedding. Our bundles offer the added perk that all wefts are machine reinforced and cuticles are aligned facing toward the same direction. The Brazilian line gives our customers an optimum wear of an average of 6-8 months if cared for properly.